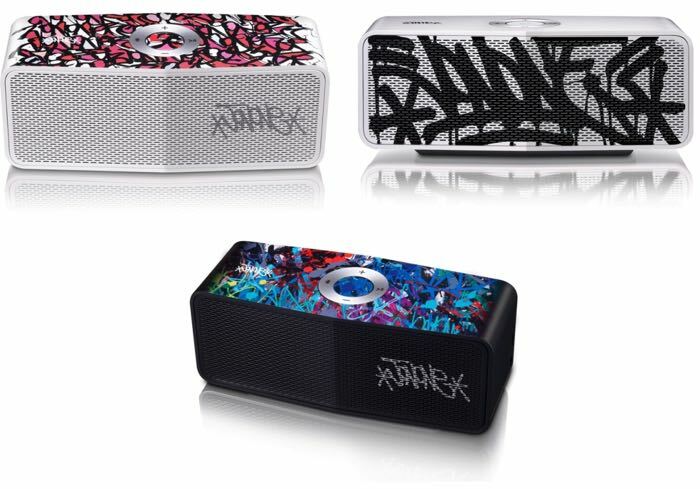 LG has announced some new portable speakers, the LG Portable Speaker Art Series by JonOne. The device is launching in France and also some other European countries. JonOne has earned a reputation for originality, with his open-ended approach to style and artistic innovation earning him a following around the globe. Growing up in Harlem in New York City, he was influenced by the freedom of the street art and graffiti tags that covered the city. His upbringing in America influenced his later work, leading to a strong emphasis on creativity and innovation. JonOne enjoys a strong following worldwide, particularly in France where the government has recognized him with the country’s most prestigious Ordre national de la Légion d’honneur for his artistic vision and achievements. You can find put more details about the LG Portable Speaker Art Series by JonOne over at LG at the link below.